As part of the focus in the EU in the past few decades on strengthening the single market in the provision of financial services, increasing numbers of asset management activities in European Economic Area (EEA) Member States2 have been brought within the regulatory perimeter at European level. This trend looks likely to continue, at least in the short to medium term, as evidenced by a growing number of EU legislative proposals that are either directly aimed at the investment funds industry, or that will nonetheless catch investment funds, investment managers or depositaries within their scope. It remains uncertain how the UK's decision to leave the EU will affect any future EU legislative proposals. Traditionally, much of the EU's legislative activity in financial services has been in the form of directives, which – unlike regulations – are not directly applicable within Member States and do not have national legal effect (except in limited specific circumstances) until transposed by the Member States into their national laws. Following changes to the European supervisory architecture and the proposal to introduce a single rule book for financial services, the introduction of new EU rules relevant to financial services increasingly takes the form of directly applicable regulations. The European Commission (Commission) represents the interests of the EU as a whole, and has the sole right to propose new legislation. The Council of the European Union (Council) represents the interests of the individual Member States. The European Parliament (Parliament) represents the interests of EU citizens, and is directly elected by them. The Commission, after consultation with stakeholders, will put forward a legislative proposal for joint adoption by the Council and Parliament, which then usually goes through the ordinary legislative procedure (known as the co-decision procedure prior to the Treaty of Lisbon in 2009). In addition to its role in adopting legislation proposed by the Commission, the Parliament has a limited power to request the Commission to submit appropriate proposals on matters on which it considers that an EU legislative measure would be appropriate. Until 2011, three Level 3 Committees existed: the Committee of European Banking Supervisors, the Committee of European Insurance and Occupational Pensions Supervisors and the Committee of European Securities Regulators (CESR). These brought together regulators from each Member State to agree on the details of implementing measures and to coordinate the supervision of cross-border institutions. The failings in prudential regulation that were highlighted by the financial crisis led to criticism that these advisory committees did not have sufficient powers or influence to address the complex challenges of cross-border regulation. Following recommendations contained in the 2009 de Larosière Report, the Commission proposed to establish a new European Systemic Risk Board, responsible for macro-prudential oversight, and a European System of Financial Supervisors (ESFS), comprising three new pan-European Supervisory Authorities (ESAs) to replace the Level 3 Committees: the European Banking Authority (EBA); the European Insurance and Occupational Pensions Authority (EIOPA); and the European Securities and Markets Authority (ESMA). The ESAs were established to oversee the financial system at a micro-prudential level, and to achieve convergence between Member States on technical rules and coordination between national supervisors. The new authorities' powers go beyond those of the former Level 3 Committees, and their role extends beyond being merely advisory. In March 2017, the Commission consulted on increased powers for the ESAs, including an extension of the EBA's powers to address disagreements over own funds requirements for banks, and enhanced direct supervisory powers for ESMA with regard to certain capital markets segments, including data providers, pan-European investment fund schemes and post-trading market infrastructures.5 Following responses to the consultation, in September 2017 the Commission published its legislative proposals in relation to the reform of the role and powers of the ESAs. The Parliament and the Council will now consider the proposals; the Commission has indicated that it wants the changes to enter into force before the end of the current legislative term in mid-2019. The Markets in Financial Instruments Directive (MiFID) regime is a key component of the EU's Financial Services Action Plan that was introduced in 2000 to further the harmonisation of financial markets within the EU to facilitate a single market in financial services. Before the introduction of the first Markets in Financial Instruments Directive (MiFID I),6 the provision of investment services within the EU was regulated by the Investment Services Directive (ISD).7 This sought to widen access to the financial services market by requiring Member States to permit investment firms that were established in other Member States to carry on the activities authorised by the home Member State in their territories through a passport. While it introduced the concepts of home Member State regulation and passporting of investment firms across the EU, it became increasingly clear over time that the scope of the ISD was too narrow to deal with the rapid evolution in financial markets that had occurred since its original enactment. In addition, the ISD was a minimum harmonisation directive, meaning there were still varying requirements across the EU as different Member States adopted different, often protectionist, approaches. MiFID has retained and seeks to expand the passporting framework introduced by the ISD. On 20 October 2011, the Commission published a package of proposals for reform, including a draft directive that would repeal and recast MiFID I,8 and a new, directly applicable regulation9 (together referred to as MiFID II). In the explanatory memorandum, the Commission stated that while MiFID I had, in its view, been successful in increasing EU-wide competition in the trading of financial instruments, decreasing transaction costs and furthering market integration, nonetheless legislative reform of the MiFID I regime was desirable to address the challenges posed by an increasingly complex financial landscape. In particular, one result of the liberalisation of markets under the MiFID I regime was that a great deal of trading of financial instruments now takes place away from regulated trading venues such as regulated markets and multilateral trading facilities (MTFs). In response to these developments, the Commission identified investor protection and trading transparency as broad areas that required reform and enhancement. MiFID II entered into force on 12 June 2014 and, following a one-year delay because of challenges with implementation, became applicable in Member States on 3 January 2018 (although not all Member States have yet passed the necessary implementing legislation bringing the MiFID II requirements into effect). Various Level 2 measures (comprising binding regulatory technical standards and implementing technical standards), which are directly applicable in Member States, have also been introduced. The implementation of MiFID I had an important impact on investment firms across the EEA, expanding the scope of regulation of investment services. The MiFID regime applies to all EEA investment firms, which are defined as legal persons whose regular occupation or business is the provision of investment services to third parties, the performance of investment activities, or both, on a professional basis. The list of relevant investment services and investment activities that fall within the scope of MiFID includes various activities often undertaken by asset managers, such as receiving and transmitting orders relating to specified financial instruments, executing orders on behalf of clients, portfolio management and providing investment advice. The list of relevant financial instruments that fall within the ambit of the MiFID regime covers not only transferable securities such as shares, but also a wide range of other products, including money market instruments, units in collective investment undertakings (CIUs) and various forms of derivatives. Under MiFID II, the scope of the MiFID regime was extended to, among other things, certain MiFID requirements to firms when selling or advising clients in relation to structured deposits. The MiFID regime also contains a number of requirements (including the requirement to obtain authorisation) for market operators and investment firms that operate multilateral trading facilities (MTFs). MiFID II expanded this scope to include a new category of trading venue, organised trading facilities, which are trading venues other than regulated markets and MTFs in which multiple third-party buying and selling interests in non-equity interests are executed on a discretionary basis. MiFID II also introduced more extensive provisions dealing with corporate governance of investment firms, strengthening the existing rules under the MiFID regime. The new requirements are more prescriptive, and limit how many executive and non-executive directorships may be held by members of a firm's management body (subject to derogations permitted by the competent authorities of Member States). In addition, larger and more complex investment firms may be required to establish nomination committees composed of non-executive directors to assess whether potential new directors have sufficient knowledge, skills and experience. significant reforms to the rules regarding payment and acceptance of inducements, including investment research (see subsection v below). A significant feature of the MiFID regime is the concept of client categorisation, whereby clients are categorised as either retail clients or professional clients, according to whether they meet specified criteria.18 A professional client 'possesses the experience, knowledge and expertise to make its own investment decisions and [to] properly assess the risks that it incurs'.19 Entities that require authorisation to operate in the financial markets will always be considered to be professional clients, and these include investment firms, other authorised financial institutions, and collective investment schemes (CISs) and their management companies. In addition, large undertakings that satisfy two of the following criteria will also be considered professional clients: the balance sheet total for the entity is at least €20 million; the net turnover of the entity is at least €40 million; or the entity has own funds of at least €2 million. MiFID defines a retail client as a client who is not a professional client. Retail clients receive the highest level of regulatory protection under MiFID, and investment firms providing services to retail clients are subject to an extensive range of conduct of business requirements that are more onerous than those that apply to professional clients. the payment must be 'designed to enhance the quality of the relevant service to the client' and not impair compliance with the firm's duty to act in the client's best interests. MiFID II retains these provisions and expands on them, providing further guidance as to the circumstances in which an inducement shall be considered to be designed to enhance the quality of the relevant service.25 The inducement must be justified by the provision of an additional or higher level service to the relevant client; proportional to the level of inducements received; not directly benefit the recipient firm, its shareholders or employees without tangible benefit to the relevant client; and be justified by the provision of an ongoing benefit to the relevant client in relation to an ongoing inducement. The industry response has been clear to date: the majority of asset managers will absorb the research costs themselves rather than passing them on to their clients. Pricing remains a key issue, with reports of a wide range of suggested fee levels proposed by investment banks for differing levels of access, and some commentators indicating the existence of conditions for a price war. In the context of asset management, a significant change introduced by Chapter IV of MiFID II relates to the provision of MiFID-regulated investment services by third-country (i.e., non-EEA) firms. Previously, such third-country firms were subject to national regimes in force in each Member State. MiFID II harmonises the approach to be taken in this regard (subject to transitional arrangements in the Markets in Financial Instruments Regulation (MiFIR), allowing existing third-country firms to continue to provide investment services in accordance with national regimes until three years after the adoption by the Commission of a decision in relation to the relevant third country).29 In place of the national regimes, two new MiFID passports, for branches and cross-border services respectively, are offered to third-country firms. The criteria for the granting of these passports are set out below. Once authorisation is granted by a Member State, the third-country firm will be able to provide the authorised investment services in other Member States without being required to establish branches in those jurisdictions in accordance with the passporting principle. The principal criticism of the new MiFID II regime, in this context, is that it places European integration and a single market in financial services ahead of concerns about competition, in particular in relation to investment firms based outside the EU. It is certainly the case that the consequences of this legislation are likely to be somewhat protectionist, potentially limiting the capacity of investment firms based outside the EU to operate within the EU, including when communicating with EU-resident clients and potential clients. However, the extent of the effect of these new provisions on market practice remains to be seen. The first UCITS Directive (UCITS I)33 was introduced in 1985 as part of an initiative to create a cross-border single market in investment funds. UCITS I was designed to harmonise regulation of such schemes under a system of home state authorisation whereby Member States (host states) would permit UCITS schemes authorised in any other Member State (the home state) to be marketed in the host state without any further host state authorisation. In practice, however, a combination of differing taxation regimes and a protectionist approach by several Member States, first in the drafting of UCITS I and then in its implementation, reduced its impact. However, Luxembourg was a major beneficiary, as it introduced a fund-friendly and tax-neutral regime and became, as a result, the domicile of choice for European-based funds. At the same time, other developments in financial services regulation had led to more developed passporting rights for investment firms that fell within the ambit of the Investment Services Directive34 that were not available to managers of UCITS schemes. A particularly significant defect in UCITS I was that it did not contain rules requiring Member States to harmonise the regulation of marketing of UCITS schemes, which had the effect that while the schemes themselves would not need new authorisation in the host state, the relevant documentation that had to be supplied to investors nonetheless varied between different host state jurisdictions. Against the background of these difficulties, two additional directives, the Product Directive35 and the Management Company Directive,36 were introduced in 2002. These widened the investment powers of UCITS schemes to permit investments in other UCITS and increased the permitted activities of UCITS management companies. The amended UCITS I is usually known informally as UCITS III (somewhat confusingly, as there was no official UCITS II: that term was used to describe a draft directive that was considered but could not be agreed and was withdrawn by the Commission in 1998). to simplify the notification rules for UCITS that are engaged in cross-border promotion. On 3 July 2012, the Commission announced a proposal (UCITS V Proposal) to amend UCITS IV and to address what it perceived as weaknesses in the UCITS regulatory regime. In particular, the Commission outlined its concern, in the wake of events connected with the Lehman Brothers bankruptcy and the Madoff scandal,40 that UCITS allowed national laws too much flexibility to interpret the scope of the duties of UCITS depositaries and the liability for the negligent performance of those duties, with the result that there was an uneven patchwork for investors across the EU. In the UCITS V Proposal, the Commission also argued that the evolution of market practice and the investment environment within the EU had led to an increasing use of sub-custody arrangements, which may have entailed significant risk for funds as it remained unclear the extent to which a depositary was liable for sub-custodian losses. The Commission also referred to divergences as between national regulatory regimes and weaknesses that it believed were undermining the supervision of financial services within the EU, with the result that the Commission sought to introduce proposals to set common minimum standards on issues such as the appointment and the duties of depositaries. The UCITS V Directive was published in the Official Journal on 28 August 2014, and Member States were required to transpose the Directive into national law by 18 March 2016. The following paragraphs set out an abstract of the UCITS rules as articulated at the European level. A UCITS does not need to have a specific legal form, and may be established via contractual arrangements, trusts or companies incorporated under statute. The UCITS regime requires that a UCITS fund must be authorised by its home Member State, the competent authority of which must approve the constitution and rules of the fund, the depositary chosen to hold the fund's investments and, to the extent relevant depending on the type of UCITS, the management company.43 Once the UCITS has been authorised by the home state, that authorisation is valid across all Member States of the EU. A particular irritation for some in the sector has historically been that some Member States have taken a very long time to process applications, whether for new funds or to register overseas funds. In response to this, UCITS IV provided that the competent authority of the home state must decide whether authorisation should be granted within two months of the submission of a completed application for authorisation being received. This time limit was not amended by the UCITS V regime. The fact that this time limit applies may not, however, stop applications being delayed by Member States, as there is no sanctioning mechanism if a Member State fails to comply with this rule. certain money market instruments that are not dealt on a regulated market but that are issued by entities meeting certain specified criteria (which essentially cover low-risk issuers such as central banks, issuers listed on certain regulated markets or issuers who meet certain minimum capital requirements). The investments eligible for UCITS investment have frequently been interpreted differently in Member States, and this has been a cause of uncertainty, so much so that the Eligible Assets Directive47 was introduced in 2007 in an attempt to improve consistency in relation to eligible and ineligible investments. 10 per cent of the money market instruments of a single issuing body. These investment restrictions are considerably less onerous than the original restrictions contained in UCITS I. This has led to the evolution of the newcits phenomenon, whereby hedge funds have begun to take advantage of the ability to market themselves across the EU using the UCITS regime. In particular, it has become possible for UCITS to take an economic exposure in underlying hedge funds through the use of OTC derivatives (which under UCITS I were only permitted as a means of portfolio management and were not allowed to be used as investments in themselves), allowing retail investors to effectively invest in hedge funds through the UCITS structure. This has led to calls for UCITS to be split into complex and simple categories, with the former requiring more detailed risk warnings if they are to be sold to retail investors. subject to limited exceptions, ensure that the UCITS' assets are not reused by the depositary, or any third party to which custody function has been delegated, for their own account. The depositary must have its registered office or must be established in the home state of the UCITS.71 The depositary must also be a national central bank, a credit institution authorised under the CRD IV Directive72 or an entity authorised by a national competent authority to carry out depositary activities. An entity authorised to carry out depositary activities shall be subject to capital adequacy requirements and own funds requirements, prudential regulation and ongoing supervision, and must also satisfy certain minimum requirements, including establishing policies and procedures to ensure compliance with UCITS IV, and for all members of its management body and senior management to be of sufficiently good repute and possess sufficient knowledge, skills and experience. In relation to sub-custody, Article 24 of UCITS IV previously stated that a depositary shall be liable for loss as a result of its 'unjustifiable failure to perform its obligations or its improper performance of them'. This wording was interpreted differently by Member States, as was highlighted in the Madoff insolvency when Luxembourg-based depositaries were found to have a materially lower level of duties when compared with their French equivalents. To address this divergence, UCITS V amended UCITS IV to clarify when a depositary's duties can be delegated to a sub-custodian. Article 24 of UCITS IV now provides that a depositary's liability for the loss of financial instruments held in custody is not generally affected by delegation to a sub-custodian, and a depositary is not able to exclude its liability through contractual arrangements. However, a depositary will not be liable if it can show that the loss is a result of an external event beyond its reasonable control, the consequences of which would have been unavoidable despite all reasonable efforts to the contrary. UCITS V explicitly notes that this liability of depositaries differs from the position under the Alternative Investment Fund Managers Directive (AIFMD)74 (particularly in relation to contractual modification of liability), but explains that, as the UCITS regime is designed to protect retail investors, such a divergence is justifiable. independence requirements for management companies, investment companies, depositaries and third parties to whom the safekeeping function has been delegated. On 12 July 2018, the Commission adopted the 2018 Delegated Regulation,76 further specifying depositaries' duties with regard to the safe-keeping of UCITS' assets under Article 22a(3)(c) of UCITS IV, a topic addressed by the 2016 Delegated Regulation. That provision of UCITS IV requires that where a depositary delegates safe-keeping functions to third parties (custodians), the assets also need to be segregated at the level of the delegate. The 2018 Delegated Regulation seeks to restrict the scope for divergent national applications of Article 22a(3)(c) of UCITS IV, identified by ESMA in an opinion on asset segregation.77 The 2018 Delegated Regulation will enter into force 20 days after its publication in the Official Journal of the EU, and will apply 18 months following publication. It is clear that, as a result of the changes introduced by UCITS V and those introduced by the 2016 Delegated Regulation and the 2018 Delegated Regulation, there is greater exposure for depositaries. The consequences remain open to question, with some predicting significant fee increases, and others the concentration of depositories to a very small number of global custodians who have the expertise and coverage necessary to provide the enhanced level of protection. The answer is likely to be a combination of both. a UCITS transfers its assets to a newly formed UCITS or another existing UCITS, but is not dissolved and continues to exist until its liabilities have been discharged. A merger must be authorised by the competent authorities of the home Member State of each merging UCITS. Those authorities must be provided with certain key information, including the terms of the proposed merger.79 The competent authorities of the merging UCITS' home Member State will then forward that information to the competent authorities of the other UCITS' home Member State, which may require that the information to be given to unitholders is modified. certain other requirements have been met, such as the validation of the criteria used to value the assets of the relevant UCITS in order to calculate the relevant exchange ratio by the depositary. If the national laws of Member States require unitholders to vote to approve the merger, the approval must not require more than 75 per cent of the votes cast at a unitholders' general meeting.80 The quorum requirements cannot be more onerous for cross-border UCITS mergers than for domestic UCITS mergers, and cannot be more onerous for UCITS mergers than for corporate mergers. In practice, the merger of a UCITS is a process hampered by bureaucratic and taxation hurdles, despite the rules in UCITS IV. These hurdles include the costs involved in notifying all the investors in funds that are merging, the time delay in obtaining regulatory approval for the communications to investors, and the differing tax treatments of the portfolio transfer, cancellation and issue of units. Despite the undoubted scope for cross-border fund mergers – European funds are typically much smaller and more expensive than their counterparts in North America – there has been no significant increase in merger activity. Whether the taxation and bureaucratic impediments to a more efficient investment fund market within the EU can be removed, or at least materially reduced, depends on the politics of individual Member States; however, the omens are not favourable, at least in the short term. These provisions, while bureaucratic and time-consuming to satisfy, nevertheless do represent a welcome change given the many benefits, in particular from economies of scale, that master-feeder structures can deliver. In the context of Europe, feeder structures are expected to be used principally to reflect the differing taxation regimes applicable to investors depending on their respective Member State. It is expected that they will be an increasing feature of investment fund structures unless and until a full harmonisation of personal and institutional taxation takes place (which is currently a very unlikely prospect). information on the number of units in circulation, the net asset value per unit and comparative tables showing that information for the past three financial years. There are also content rules for half-yearly reports. a reference to that website, and the fact that a paper copy will be made available free of charge upon request. Investors (in particular retail investors) will receive, before units can be purchased, the KIID, on the principle that the UCITS structure is simple enough and sufficiently well regulated that the KIID provides enough basic information to permit an informed investment decision. In particular, the principal advantage of the KIID may prove to be that it can be used as a pan-European template, although language differences may limit the possibilities for economies of scale. The competent authorities of Member States will be required to publish any sanctions or measures imposed, and simultaneously report to ESMA, which should also publish an annual report on all sanctions imposed. improvements to elements of UCITS IV. In particular, the consultation focused on self-managed investment companies, master-feeder structures, fund mergers and notification procedures. The Commission has received responses to the consultation, but has not yet published a legislative proposal. The Commission's work programme for 2018 indicates that the Parliament is aiming to consider UCITS VI, with a proposed adoption date before May 2019. The current proposed application date is 2021. Even before the onset of the financial crisis, EU politicians, and to a lesser extent regulators, had sought to review regulatory policy in relation to the AIF industry, which was rapidly expanding and was seen by many as an unregulated segment of the financial services market. There were concerns related to lack of transparency, short-termism, remuneration practices and the potential threat to financial stability posed by hedge funds that employ overly high levels of leverage. There was also criticism of the private equity industry and the perceived (at least by some) negative consequences on target companies of leveraged buyouts in which a target company's assets are used to repay the acquisition financing. The onset of the financial crisis provoked a global regulatory consensus on the need to reform the shadow banking sector, and fuelled a renewed focus on the activities (and regulation) of the AIF industry. After 18 months of political debate within the EU institutions, on 11 November 2010 the Parliament adopted a final, agreed text of the AIFMD, which was formally approved by the Council on 27 May 2011. The AIFMD came into force on 21 July 2011, and the deadline for implementation by Member States was 22 July 2013. As the AIFMD is a directive, it is not directly applicable, and Member States must implement it into national law. The stated objective of the AIFMD is to ensure that all managers of AIFs are authorised and subject to harmonised regulatory standards across the EU. Note that the AIFMD regulates fund managers operating within the EU rather than directly regulating the funds themselves, many of which may be based offshore. A particular complication is that the vast majority of hedge funds managed within the EU are managed from London, which is also responsible for a significant portion of other non-UCITS investment funds marketed or managed in the EU. There is widespread concern, not least in London, that this very successful industry may be harmed by regulation that places more emphasis on harmonisation than on international competitiveness. Details on the key features of the AIFMD listed above, as implemented in the national law of Member States, are outlined in the national chapters. The provisions of the AIFMD outline the framework of the regime, but the details have been determined by Level 2 implementing measures. transparency obligations to both investors and supervisory authorities. To supplement these Level 2 measures, ESMA has issued Level 3 guidelines. These provide guidance to national regulators in the EU as to how to implement directives, regulations and technical standards (Level 1 and 2 measures). While the guidelines are not legally binding, regulators and market participants should make every effort to comply with them. National regulators are required to incorporate these guidelines into their supervisory practices or explain why they have not done so. On 11 February 2013, ESMA published Level 3 guidelines on sound remuneration policies under the AIFMD.105 A final report on the revision of these guidelines was published in March 2016, and the amended guidelines came into force on 1 January 2017. ESMA has also published guidelines on key concepts of the AIFMD106 that give guidance on the definition of an AIF,107 Q&As on the application of AIFMD,108 and guidelines109 on reporting obligations under the AIFMD that set out the information AIFMs should report to regulators and the times when reports must be made. On 7 April 2017, ESMA published the findings of its thematic study on notification frameworks and home host responsibilities under the AIFMD and the UCITS Directive.110 In relation to this, ESMA followed up with opinions regarding the delegation model on 17 and 20 July 2017.111 For further detail on the impact of ESMA's actions in light of Brexit, please see the United Kingdom chapter. There are a few legislative proposals and draft regulations being considered at EU level that may impact the scope and application of the AIFMD. For example, the Commission made a legislative proposal for a regulation and a directive on the cross-border distribution of collective investment funds that contains new provisions intending to harmonise the rules governing the marketing of investment funds across the EU, and proposes various amendments to the UCITS Directive and the AIFMD. In relation to the AIFMD, the proposed directive aims to clarify the scope of 'pre-marketing' activities that an EU AIFM may engage in without having made a prior notification to the relevant regulator, and introduces a notification procedure for AIFMs that wish to discontinue marketing activities in a particular Member State.112 In addition, on 29 May 2018 the Commission published a draft delegated regulation to amend the AIFMD Level 2 Regulation as regards safe-keeping duties of depositaries. Although, securities and insolvency laws are not harmonised across the EU, the Commission considers that harmonised rules on safe-keeping are important to ensure the protection of assets of clients. The Commission also awarded a tender to KPMG to conduct a review of the application and scope of the AIFMD. The survey closed on 30 March 2018, and KPMG is yet to publish its findings. The insurance sector is a key provider of the funds under discretionary fund management. This reflects the fact that insurers hold assets and capital to meet their liabilities to policyholders and satisfy their regulatory capital requirements. The Solvency II Directive (Solvency II)113 came into force on 1 January 2016, and introduces a new, harmonised EU-wide insurance regulatory regime, replacing various EU insurance directives including the Recast Life Directive.114 The key objectives of Solvency II are improved protection of policyholders, a move towards a more risk-based approach to prudential regulation and harmonisation of national supervisory regimes. Further detail of the regime is set out in the Solvency II Delegated Regulation (Level 2), which was published by the Commission on 10 October 2014 and came into force on 18 January 2015.115 EIOPA has published Implementing Technical Standards and Guidelines supplementing Level 1 and Level 2. The Commission proposals reforming the ESFS, mentioned in Section II.v, will also amend Solvency II, giving EIOPA a greater role in contributing to supervisory convergence.118 On 5 April 2018, the Commission published a report discussing concerns and issues surrounding the implementation of Solvency II.119 It discusses EIOPA's concerns120 with regards to group supervision, including the definition of group supervision. Firms are required to establish technical provisions reflecting their expected future liabilities to policyholders and to hold assets sufficient to cover those technical provisions.121 In addition, firms need to have capital to cover the minimum capital requirement (MCR), which is the minimum level of solvency below which a firm risks the withdrawal of its authorisation, and the solvency capital requirement (SCR), which is a higher level of capital below which supervisory intervention will be triggered. In exceptional circumstances, national supervisors have the discretion to require an insurer to maintain further capital in addition to the SCR, known as the capital add-on. The types of capital (referred to in Solvency II as own funds) that insurers may use to satisfy the MCR and SCR are classified by means of a system that classifies own funds into three tiers according to the extent to which they possess the characteristics of permanent availability and subordination, with Tier 1 being the highest of the tiers. Limits will apply to the amounts of Tier 2 and Tier 3 own funds that can be used to meet a firm's capital requirements. structured products such as mortgage-backed securities. There has been speculation that these capital requirements may change an insurer's asset allocation, as the new capital charges focus attention on the balance of risk and reward within investment portfolios. Solvency II introduces a greater focus on transparency of investments, involving a look-through approach to risk assessment whereby, for the purposes of the SCR calculation, the underlying investments held by investment funds in which an insurer is invested are treated as direct holdings.127 This may be a challenge for managers of funds of funds as, if insurers are to invest, the managers will need to be able to provide detailed information on the underlying portfolio. In 2006, the Banking Consolidation Directive and the Capital Adequacy Directive (together referred to as the Capital Requirements Directive (CRD))130 first imposed a minimum initial capital level that must be held by investment firms falling within MiFID, depending on the activities they undertake and the level of risk associated with such activities.131 In addition, investment firms had to meet ongoing requirements to provide against risks for their trading-book businesses and their other business activities.132 At the same time, the competent authority of each Member State was given supervisory powers and duties. In the wake of CRD II, Directive 2010/76/EU (known as CRD III) was adopted on 11 October 2010, again in response to perceived regulatory failures that had been highlighted by the financial crisis. For example, CRD III addressed concerns that the remuneration policies prior to the financial crisis had incentivised risk-taking by financial institutions, including investment firms, and had undermined risk control. CRD III required firms to have remuneration policies that were consistent with, and promote effective risk management and imposed caps on, certain elements of the remuneration package. CRD III also aimed to address concerns that the models that were permitted under CRD to calculate capital requirements were flawed and did not require investment firms to maintain sufficient capital as a buffer against losses in their proprietary trading books. As a result, CRD III amended the capital requirements that apply in respect of the trading books of investment firms by introducing new capital charges depending on the risk models being used by individual firms. To implement the Basel III rules made by the Basel Committee on Banking Supervision, on 20 July 2011 the Commission introduced proposals for a new directive, known as CRD IV,136 and a new regulation, the Capital Requirements Regulation (CRR), which would replace the CRD. CRD IV and the CRR were published in the Official Journal on 27 June 2013. Member States were required to transpose CRD IV into national law by 31 December 2013. The CRR is directly applicable, and took effect from 1 January 2014. The timeline for full implementation largely depended on the timing of the delegated legislation related to enacting the net stable funding ratio (NSFR), which is now proposed as part of a package of further reforms to the CRD IV and CRR as proposed by the Commission in November 2016 (see below). Several pieces of delegated legislation have been published by the Commission since December 2013 supplementing CRD IV with regard to certain regulatory technical standards and implementing technical standards, and to the liquidity coverage ratio (LCR). firms that are not permitted to hold client money or securities. In practice, this provides an exemption for many asset management firms. On 10 October 2014, the Commission adopted the Delegated Regulation,140 which sets out detailed requirements for firms to hold sufficient unencumbered high-quality liquid assets as determined using the LCR. The Delegated Regulation was published in the Official Journal on 17 January 2015 and came into force on 6 February 2015. The LCR will be implemented over a period of four years, starting with a minimum ratio requirement of 60 per cent in October 2015, and gradually increasing to 100 per cent on 1 January 2018. With certain exceptions, CRD IV is a maximum harmonisation measure (meaning that there is little scope for national regimes to exceed the terms of the original EU legislation) that sets out the majority of the CRD's prudential high-level requirements for investment firms. As an EU regulation, the CRR is directly applicable in all Member States, and divergences in national rules will therefore be minimised. In contrast, provisions addressing the mechanics of prudential supervision are contained in the CRD IV Directive. As an EU directive, Member States have a small element of say in how they choose to implement the requirements. For example, while Member States are not be able to impose capital requirements in excess of the CRD IV levels (as these are provided for in the CRR), they have a degree of flexibility in relation to the calibration of capital buffers (which are set out in the CRD IV Directive). amendments to the minimum requirement for own funds and eligible liabilities to ensure that global systemically important institutions hold certain minimum levels of loss-absorbing capital and instruments in line with the total loss-absorbing capacity standards recommended by the Financial Stability Board. The EBA recommended the introduction of the NSFR in December 2015. Now included as part of the CRD V reform proposals, the NSFR will sit alongside the LCR as a method to assess whether a firm has adequate stable funding to prevent liquidity mismatches. The NSFR is a ratio of an institution or firm's available stable funding to the amount of stable funding required by it over a one-year period, and an NSFR of 100 per cent would therefore require the relevant institution or firm to hold at all times sufficient stable funding to meet its funding needs. Stable funding is defined as those types and amounts of equity and liability financing expected to be reliable sources of funds over a one-year period under conditions of extended stress. Regarding the own fund requirements under CRD V in respect of CIUs, the proposed amendments set out a more risk-sensitive approach to calculate own funds requirements for exposures to CIUs (which includes UCITS and AIFs). In addition to a standardised approach, CRD V incorporates a look-through and mandate approach that calculates own funds requirements based, respectively, on the underlying exposures or mandate of the relevant CIU. In December 2017, the Commission adopted proposals for a Regulation on the prudential requirements on investment firms and a Directive on the prudential supervision of investment firms.149 This framework is intended to replace the existing prudential requirements set out in the CRR for most investment firms authorised under MiFID. The aim is to simplify the prudential classification of investment firms and establish a single harmonised approach to their prudential requirements. It also seeks to increase proportionality and risk-sensitivity and reduce the complexity of the existing system. It is not intended to increase capital requirements significantly beyond the current level. Certain systemically important firms will be reclassified as credit institutions, and will remain subject to the existing regime under the CRR and CRD IV. If these firms are established in member states participating in the banking union, they will come within the scope of the single supervisory mechanism. All other investment firms will be subject to the new prudential framework, replacing the requirements set out in the CRR and the CRD IV Directive. Certain small and non-interconnected investment firms will be subject to a more limited prudential regime. Quantitative indicators, referred to as 'K-factors', which are intended to represent various risks to which the firm is exposed, will be used to classify investment firms and determine the capital requirements methodology to which they will be subject. The K-factors include 'risk-to-customer' factors, 'risk-to-market' factors, and 'risk-to-firm' factors. Investment firms will be subject to revised remuneration and governance standards. The Commission also intends to use the new prudential framework to tighten requirements relating to equivalence decisions taken in relation to third countries and the supervision of firms with parent undertakings in third countries. Where a firm has its parent undertaking in a third country, if the relevant EU supervisory authority considers that the firm is not subject to supervision by the third country that is equivalent to the supervision under this new prudential framework, it may require the establishment of an investment holding company or mixed financial holding company in the EU. These requirements apply regardless of where the person effecting the short sale is domiciled. However, there is an exemption from the transparency requirements for shares whose principal trading venue (i.e., the regulated market or MTF) is located outside the EU. For fund managers managing several funds, the calculation of the net short position in a particular issuer is conducted at the level of each individual fund and for each portfolio under management. A discretionary manager should aggregate net short positions of funds and portfolios for which the same investment strategy is pursued in respect of a particular issuer. Where a single entity performs management and non-management activities (such as proprietary trading), it should conduct two separate calculations and, in some instances, may have to make two reports. In July 2017, ESMA published a consultation paper on the evaluation of certain elements of the Short Selling Regulation, including the transparency requirements described above. The 'qualifying holdings regime' comprises certain requirements imposed across various pieces of EU financial services sectoral legislation, particularly MiFID II, Solvency II and CRD IV. That regime has its origins in the Acquisitions Directive,154 also referred to as the 'Qualifying Holdings Directive', which was formally adopted on 5 September 2007 and was to be implemented into the national law of Member States by 21 March 2009. The Acquisitions Directive was repealed and replaced (in part) by MiFID II. The qualifying holdings regime sets out harmonised criteria that regulators apply in deciding whether to approve changes of control of financial institutions (i.e., credit institutions, investment firms and insurers), and important aspects of the process by which they do so. Similar requirements apply in respect of qualifying holdings in management companies under the UCITS Directive and AIFMD. In March 2012, the Commission published a Green Paper155 setting out its proposals for the reform of shadow banking. The Commission's message, articulated by Internal Market Commissioner Michel Barnier, is that, 'like all financial players, [firms carrying out shadow banking activities] must be covered by regulation'156 to ensure that all activities that could affect financial stability are regulated, while at the same time opportunities for regulatory arbitrage are minimised. using direct or indirect financial leverage. Clearly, this creates an extremely wide scope. Asset management was one of the areas of focus for new measures in the Green Paper, with the Commission expressing concerns regarding possible liquidity mismatches in ETFs, which heightens the risk of runs on MMFs, increases the fragility of the financial sector and augments the potential spillover effects of any failures. improving the supervision of the shadow banking sector at EU and national levels. The proposal for a regulation on MMFs required such funds to have a set proportion of their portfolio in highly liquid assets, and sets limits on their exposures to a single issuer of securities. The proposal also introduced a capital buffer for fixed-net-asset-value MMFs; the proposal acknowledged this requirement may result in substantially increased management fees. The MMF Regulation also categorises MMFs, and includes provisions on, inter alia, eligibility criteria for assets in which MMFs can invest and diversification requirements. The proposed capital buffer for fixed-net-asset-value MMFs as originally proposed by the Commission has not been included in the final MMF Regulation. In the absence of tax harmonisation, taxation remains a matter for the legislature of each Member State. With the exception of VAT and pending the outcome of current discussions on an EU-wide financial transactions tax, there is no centralised tax affecting asset management. The tax treatment of investors, funds and asset managers depends mainly on the laws of individual Member States. Nevertheless, EU law materially qualifies the rights of Member States to levy taxes. It does so principally as a result of the application of the Treaty on the Functioning of the European Union (TFEU) and of directives adopted by the institutions of the EU. The TFEU and those directives have a direct bearing on the taxation of asset management within the EU, and each is considered in turn below. Each of the four fundamental freedoms enshrined in the TFEU has direct effect, meaning that the right to it is granted to citizens and it can affect national tax rules directly (i.e., without the need for local implementation). Fundamental to these freedoms, and to the TFEU as a whole, is the principle of non-discrimination, which in the tax context typically prevents Member States from discriminating between citizens on the grounds of residence. Of the four fundamental freedoms, the most relevant in the asset management tax context is the free movement of capital.169 Given that movement of capital for these purposes includes operations in units of CIUs,170 it is clear that tax legislation that restricts capital movement within the EU will have no effect (unless one of the key exceptions – which include the rights of Member States to distinguish between taxpayers who are not in the same position with regard to their place of residence or the place where their capital is invested,171 and to take all requisite measures needed to prevent infringements of their laws and regulations172 – applies). Of particular relevance to the direct taxation of asset management within the EU is the series of directives dealing with the exchange of information for tax purposes. The first of these directives, the Savings Directive,176 came into force on 1 July 2005. This aimed to ensure that cross-border payments of savings income were properly taxed in the recipient's state of residence, thereby eliminating distortions in capital movement between Member States. The legislation provided for two mechanisms to achieve this aim: the exchange of information between Member States and the withholding of tax at source. Since the introduction of the Savings Directive, the challenges posed by cross-border tax fraud and evasion and the development by the Organisation for Economic Co-operation and Development (OECD) of a new single global standard of automatic exchange of information – the Common Reporting Standard (CRS) – have resulted in significant changes to the legislative landscape. The CRS was developed in response to a request from the G20 to the OECD in September 2013, and was approved by the OECD on 15 July 2014. It requires participating jurisdictions to obtain prescribed information from resident financial institutions and automatically exchange that information with other participating jurisdictions on an annual basis. It sets out the financial account information to be exchanged, the financial institutions required to report, the different types of accounts and taxpayers covered, as well as common due diligence procedures.177 As of June 2018, 106 jurisdictions were committed to the implementation of the CRS, with 49 jurisdictions committed to have undertaken their first exchanges of information under the regime in 2017 (including all Member States with the exception of Austria), and a further 53 jurisdictions committed to undertake their first exchanges in 2018. To address the changing landscape, the Council has implemented further directives. Of particular note is the Directive on Administrative Cooperation (DAC),178 which provides for the mandatory automatic exchange of certain information between Member States. On 9 December 2014, the European Council adopted Council Directive 2014/107/EU, which incorporated the CRS into DAC, providing the CRS with a legal basis within the EU. To avoid duplicative reporting and to save costs both for tax authorities and economic operators, the repeal of the Savings Directive was timed to coincide with the introduction of Directive 2014/107/EU on 1 January 2016, subject to certain transitional measures (and on 1 January 2017 in the case of Austria, which has a longer implementation period because of its historical arrangements pursuant to the Savings Directive differing from those of the other Member States). Notwithstanding the repeal of the Savings Directive, Member States are still required to fulfil their administrative obligations in relation to payments made before the date of repeal. The Commission has agreed on the Amending Protocols to the Agreements between the EU and Switzerland, Monaco, Liechtenstein, Andorra and San Marino to reflect these changes in EU law (including the incorporation of the CRS). Another area of relevance is the EU's response to the OECD's base erosion and profit shifting (BEPS) project. On 12 July 2016, the EU adopted Council Directive (EU) 2016/1164, known as the Anti-Tax Avoidance Directive (ATAD), to implement, at EU level, some of the OECD's BEPS recommendations. The ATAD sets out anti-avoidance measures in respect of certain areas including controlled foreign companies, exit taxation, interest deductibility and hybrids. It also introduces a general anti-abuse rule designed to counter aggressive tax-planning structures. Member States have to implement all measures as of 1 January 2019, but there are longer periods for the exit taxation and interest deductibility provisions. On 29 May 2017, the EU adopted Council Directive (EU) 2017/952, known as the ATAD II, which amends the ATAD, including its extension to cover hybrid mismatch arrangements between Member States and third countries (rather than only those between two Member States). Member States are required to implement the provisions of the ATAD II by 1 January 2020 (or, in the case of rules concerning reverse hybrid mismatches, 1 January 2022). Directive 2006/112/EC on the common system of VAT (VAT Directive) provides for the EU-wide harmonisation of the taxation of the supply by businesses of goods and services. It is the responsibility of each Member State to set the rate at which VAT will apply in that Member State. The provision of supplies consisting of the management of assets is a supply of services that falls within the scope of VAT and is therefore potentially taxable, with the tax being borne by investors (although collected and paid by the supplier of that service, the investment manager). Each Member State has discretion to define the scope of 'special investment fund', but only within the confines of the objective of the VAT Directive and the principle of fiscal neutrality. It has been held that the term is specific to the business of undertakings in collective investments,181 but that it cannot be defined to refer to portfolio management in general;182 nor can it be defined in a way that distinguishes between open and closed-ended funds.183 It has also been held that it does not extend to defined benefit pension schemes or common investment funds pooling the assets of such schemes,184 but that it may extend to certain defined contribution pension schemes where the scheme members bear the investment risk.185 The Court of Justice of the European Union (CJEU) held in Fiscale Eenheid X NV186 that the exemption may extend to the management of real estate funds where the fund pools investments to spread risk, the risk is borne by the investors and the fund is subject to specific Member State supervision (i.e., regulation). It was held, however, that the exemption does not apply to the actual management of the immovable property of the fund: it is limited to fund-specific functions, for example, investment recommendations and portfolio management. On 28 September 2011, the Commission presented a formal proposal for a financial transaction tax (FTT) in the (then) 27 Member States of the EU. Under the proposal, a tax would be levied at a rate of 0.1 per cent on the exchange of shares and bonds, and at a rate of 0.01 per cent on derivative contracts. The proposal is currently supported by 10 Member States (originally 11, but Estonia left the process in March 2016) that are participating in an enhanced cooperation process, and has been approved by both the Parliament and the Council. However, as it is not unanimously supported it will, even if introduced, apply only to those supporting Member States. Statements given by the supporting Member States in 2014 explained that they aimed for the first step towards full implementation to take place by 1 January 2016. Little progress has been made since; most recently, Member States met at an Economic and Financial Affairs Council configuration meeting held on 17 June 2016, where it was reported that work would continue on the proposal during the second half of 2016, but that the result must be satisfactory to all Member States, not just the 10 Member States participating in the enhanced cooperation. In January 2017, representatives of both the Commission and the Council indicated during a parliamentary debate that draft legislation relating to the FTT could be prepared by mid-2017. On 27 June 2018, the Econonmic and Financial Affiars Council stated that further work would be required before Member States could reach final agreement on a number of issues arising from the FTT. At the time of publication, no further details of such legislation have emerged. Article 107 of the TFEU prohibits 'state aid' (i.e., measures taken by Member States to favour certain undertakings or certain industries in a way that could distort competition and affect trade between Member States). The state aid regime not only applies to the provision of positive benefits such as subsidies, but also to 'interventions which, in various forms, mitigate the charges which are normally included in the budget of an undertaking'.188 It can therefore apply to the tax practices of Member States. However, this will only be the case where a Member State is 'selective' in favour of a particular undertaking, category of undertakings or category of goods. In recent years, the Commission has been more proactive in challenging the tax rulings of Member States, and high-profile investigations have been opened into arrangements between certain Member States and multinationals (e.g., Apple, Fiat, Santander and others). Indeed, in tax ruling cases involving multinationals, most of the state aid criteria are generally met: the ruling is issued by the state, it uses state resources (i.e., potential tax revenues), and it has the potential to distort competition and affect trade between Member States. The key question is whether the ruling grants a 'selective advantage' – one that is not available to other taxpayers in a comparable factual and legal situation. While none of the current investigations involve the asset management industry specifically, this is an area to watch closely, particularly as the Commission's scope for state aid investigations in the context of tax continues to expand. Although the current taxonomy and benchmark proposals focus only on climate change and the environment, the Commission expects to roll out similar initiatives for social and governance issues in due course. The Commission has also published for consultation draft amendments to delegated acts of MiFID II and the Insurance Distribution Directive193 to enhance sustainability in suitability assessments.194 ESMA is monitoring these proposals, and will consider making more focused guidelines to reflect any changes to the delegated acts on sustainability.195 The Parliament also voted to broadly support the Commission's proposals on 29 May 2018, although its general rhetoric is that it would prefer the proposals to be more robust with regards to social and governance issues.196 Over the next couple of years, the Commission will be rolling out its proposals in line with its timetable. 1 Nick Bonsall is a partner at Slaughter and May. The author would like to thank Chris Hurn, Lucy Sale, Kyle O'Sullivan and Magdalena Kowalczuk for their assistance in preparing this chapter. 2 The EEA comprises the Member States of the EU and Iceland, Liechtenstein and Norway. Many European directives are extended to the non-EU Member States of the EEA by virtue of the Agreement on the European Economic Area, which came into force on 1 January 1994. New rules are adapted or extended to the EEA by decisions of the EU/EEA Joint Committee. EEA Member States outside the EU are informed of legislative proposals, but they do not have a formal role in shaping policy. 3 Named after Alexandre Lamfalussy, who chaired the EU group that proposed the process for the development of EU securities legislation in 2001 (later extended to the field of banking, insurance and pensions regulation). 4 European Securities and Markets Authority, Frequently Asked Questions: A Guide to Understanding ESMA, 3 January 2011. 10 In addition, entities that provide investment services solely for intra-group purposes do not fall within the scope of the MiFID regime; neither does any person who deals solely on his or her own account in financial instruments other than commodity derivatives or emission allowances or derivatives thereof, unless such persons are market makers; are members of or participants in a regulated market or MTF, on the one hand, or have direct electronic access to a trading venue, on the other, except for non-financial entities that execute transactions on a trading venue that are objectively measurable as reducing risks directly relating to the commercial activity or treasury financing activity of those non-financial entities or their groups; apply a high-frequency algorithmic trading technique; or deal on own account when executing client orders by virtue of Article 2(1)(d) MiFID II. 11 Article 24(4) MiFID II Directive. 12 Article 24(7) MiFID II Directive. 13 Article 25(6) MiFID II Directive. 14 Article 24(11) MiFID II Directive. 15 Article 25(4)(a)(iv) MiFID II Directive. Structured UCITS are UCITS that provide investors with algorithm-based returns that are linked to the performance of financial assets, indices or reference portfolios, or to UCITS with similar features. 16 Article 24(2) MiFID II Directive. 17 Article 16(6) and (7) MiFID II Directive. 18 Set out in Annex II MiFID II Directive. 19 Annex II preamble, MiFID II Directive. 20 Section 2, Annex II MiFID II Directive. 21 Article 30(2) MiFID II. 25 Article 11(2) Commission Delegated Directive (EU) 2017/593 (MiFID II Delegated Directive). 26 Article 24(9) MiFID II Directive. 27 Article 24(7) and (8) MiFID II Directive. 28 Article 12(3) MiFID II Delegated Directive. 30 Article 39(1) MiFID II Directive. 31 Article 39(2) MiFID II Directive. 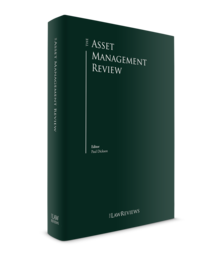 39 ESMA opinion, Practical arrangements for the late transposition of the UCITS IV Directive, 13 October 2011. 40 The text of the explanatory memorandum to the proposal explains that Lehman Brothers International Europe, based in the UK, went into bankruptcy in 2008 while acting as sub-custodian in connection with the assets of a number of CISs. This raised a number of issues in relation to the relevant regulatory model that, while relating to non-UCITS funds, nonetheless had substantial similarities to the UCITS depositary regime. By contrast, the Madoff scandal did involve a UCITS feeder fund where the depositary had delegated the custody of its asset portfolio to a Madoff-operated entity, and Madoff himself also acted as the manager and broker on the fund's behalf. The Commission text states that this resulted in a loss of around €1.4 billion for the relevant fund. 41 Article 1(2) UCITS IV. 42 Article 3(d) UCITS IV. 43 Article 5 UCITS IV. 44 These include regulated markets as defined in Article 4(1)(14) of MiFID, and any other regulated markets in EU Member States that operate regularly and that are recognised and open to the public. 45 Provided that such exchange or market has been approved by the relevant competent authorities, or is otherwise provided for in law, in the rules of the fund or in the instrument of incorporation of the investment company (Article 50(1)(c) UCITS IV). 46 Any such regulated market must operate regularly and be recognised and open to the public. The stock exchange or regulated market must also have been approved by the competent authorities, or have been provided for in law or the rules of the fund or in the instrument of incorporation of the investment company (Article 50(1)(d)(i) UCITS IV). 48 Under Article 52(5) UCITS IV, such government securities or money market instruments do not need to be taken into account when the 40 per cent limit referred to in (a) is applied. 49 Article 52(4) UCITS IV. 50 Article 6(1) UCITS IV. 51 Article 6(3) UCITS IV. 52 Article 7(1)(a) UCITS IV. 53 Article 7(1)(b) UCITS IV. 54 Article 7(1)(d) UCITS IV. 55 Article 7(2) UCITS IV. 56 Article 8(1) UCITS IV. 57 Article 8(3) UCITS IV. 58 Article 10(1) UCITS IV. 59 Article 12(1) UCITS IV. 60 Article 12(1)(a) UCITS IV. 61 Article 12(1)(b) UCITS IV. 62 Article 15 UCITS IV. 63 Article 14a UCITS IV. 64 Article 14a UCITS IV. 65 Article 14b(1)(m) UCITS IV. 66 Article 14b(1)(n) UCITS IV. 68 Article 16(3) UCITS IV. 69 Article 17 UCITS IV. 70 Articles 22 UCITS IV. 71 Article 23(1) UCITS IV. 73 Article 25 UCITS IV. 75 European Commission Delegated Regulation (EU) No. 2016/438. 76 Commission Delegated Regulation amending Delegated Regulation (EU) No. 2016/438 as regards safekeeping duties of depositaries. As at the date of publication, the 2018 Delegated Regulation is yet to be published in the Official Journal. 77 Opinion of ESMA, 20.07.2017, 34-45-277. 78 These methods also apply, mutatis mutandis, to the merger of investment compartments of UCITS. 79 Article 39(2) UCITS IV. Under Article 39(5), if the competent authorities of the merging UCITS' home Member State consider that the information provided is not complete, they may request additional information within 10 working days of receiving the original information. The merging and receiving UCITS are required to draw up common draft terms of merger under Article 40. 80 Article 44 UCITS IV. 81 Article 58(1) UCITS IV. 82 Article 58(2) UCITS IV. 83 Article 58(3) UCITS IV. 84 Article 59(1) UCITS IV. 85 Article 59(3) UCITS IV. 87 Article 61 UCITS IV. 88 Article 68 UCITS IV. 89 Article 69(1) UCITS IV. 90 Article 70(1) UCITS IV. 91 Article 78(3) UCITS IV. 92 Article 78(5) UCITS IV. 94 Article 99(6) UCITS IV. 95 Article 4(1)(a) and (b) AIFMD. 96 Article 2(1) and (2) AIFMD. 97 Articles 2 and 3 AIFMD. 98 Marketing is defined in the AIFMD as the direct or indirect offering or placement of units or shares in an AIF to, or with, investors domiciled in the EU. Significantly, this does not include marketing that is independent of the AIFM marketing to investors outside the EU or passive marketing, where the initiative is taken by the investor rather than the AIFM. This extremely important concession continues to allow European pension funds and other experienced investors to access hedge funds, in particular the 70 per cent managed in the US, without the funds having to comply with the AIFMD. The question of whether to make the passporting regime available in respect of non-EU AIFs and AIFMs was the subject of heated debate prior to the publication of the AIFMD. The compromise that was adopted involves the deferral of the non-EU passporting provisions set out in the AIFMD. This was initially expected to be deferred until 2015, though this has since been delayed until further notice. ESMA published preliminary advice on the extension of the passporting regime in July 2015 and final advice in July 2016. The Commission has so far not acted upon the final advice provided by ESMA, and in the meantime national private placement regimes continue to operate. ESMA did publish a report on the findings of its thematic study on notification frameworks and home-host responsibilities under UCITS IV and the AIFMD in April 2017, which aims to facilitate the smooth operation of EU passports for marketing and management of UCITS and AIFs. 99 European Commission Delegated Regulation (EU) No. 231/2013. 100 See a Council statement of February 2013, available at register.consilium.europa.eu/pdf/en/13/st06/st06687-ad01.en13.pdf. 102 Available at eur-lex.europa.eu/ legal-content/EN/TXT/PDF/?uri=CELEX:32015R0514&from=EN. 103 Commission Implementing Regulation (EU) No. 448/2013. 104 Commission Implementing Regulation (EU) No. 447/2013. 108 ESMA, Questions and Answers – Application of the AIFMD, 5 October 2017. 110 ESMA, Notification frameworks and home-host responsibilities under UCITS and AIFMD – Thematic Study among National Competent Authorities, 7 April 2017. 111 ESMA, Opinion to support supervisory convergence in the area of investment management in the context of the United Kingdom withdrawing from the European Union, 13 July 2017; and ESMA, Opinion - Asset segregation and application of depositary delegation rules to CSDs, 20 July 2017. 112 European Commission, Proposal for a Directive of the European Parliament and of the Council amending Directive 2009/65/EC of the European Parliament and of the Council and Directive 2011/61/EU of the European Parliament and of the Council with regard to cross-border distribution of collective investment funds, 12 March 2018. 116 Article 4 Solvency II. 117 For example, amendments in line with the Securitisation Regulation (EU) 2017/2402. 118 European Commission, Proposal for a Directive of the European Parliament and of the Council amending Directive 2014/65/EU on markets in financial instruments and Directive 2009/138/EC on the taking-up and pursuit of the business of Insurance and Reinsurance (Solvency II). 119 European Commission, Report from the Commission to the European Parliament and the Council on the application of Title III of Directive 2009/138/EC of the European Parliament and the Council of 25 November 2009 on the taking-up and pursuit of the business of Insurance and Reinsurance (Solvency II) as regards the supervision of insurance and reinsurance undertakings in a group, and the assessment of the transitional period for the occupational retirement provision business of life insurance undertakings, 5 April 2018. 120 Reflected in EIOPA, Report to the European Commission on the Application of Group Supervision under the Solvency II Directive, 22 December 2017. 121 See Section 2, Chapter VI Solvency II. 122 Article 103 Solvency II. 123 Article 104 Solvency II. 124 Article 132 Solvency II. 125 Article 132(4) Solvency II. 126 Article 133(3) Solvency II. 127 Article 84 European Commission Delegated Regulation (EU) No. 2015/35. 128 Article 51 Solvency II. wider in scope than Basel II, as it applies not only to internationally active banks, but also to investment firms subject to MiFID. 131 Chapter II, Directive 2006/49/EC. For example, investment firms falling under the definition in Article 3(1)(b)(iii) that are only authorised to provide investment advice, or receive and transmit orders from investors without holding client money or securities, have an initial capital requirement of €50,000 (Article 7), but firms dealing in financial instruments who do hold client money and securities (and which are therefore not firms referred to in Article 5 to Article 8) have an initial capital of €730,000 (Article 9). 132 Chapter V Directive 2006/49/EC. 133 Article 4 CRD II. 134 Article 3 CRD III. 135 Regulation (EU) No. 575/2013. 137 Article 129 CRD IV. 138 Article 130 CRD IV. 139 Article 141(2)(b) CRD IV. 140 Regulation (EU) No. 575/2013. 141 Article 87 CRD IV. 142 Article 87(2) CRD IV. 143 Article 76(3) CRD IV. 148 Council of the European Union, Proposal for a Directive of the European Parliament and of the Council amending Directive 2013/36/EU as regards exempted entities, financial holding companies, mixed financial holding companies, remuneration, supervisory measures and powers and capital conservation measures – Presidency compromise text, 23 May 2018. 149 Procedure files COM(2017) 790 final and COM(2017) 791 final. 150 Regulation (EU) No. 236/2012. 151 Articles 5, 6 and 7 Short Selling Regulation. 152 Chapter III Short Selling Regulation. 153 See Chapters V and VI Short Selling Regulation. 156 Speech made by Michel Barnier at the press conference to accompany the publication of the Commission's Green Paper on Shadow Banking, 19 March 2012. 158 Article 1(1) MMF Regulation. 160 European Commission, Working Document of the Commission Services (DG Internal market) – Consultation by Commission Services on legislative steps for the Packaged Retail Investment Products Initiative. 161 European Commission, Proposal for a regulation of the European Parliament and of the Council on key information documents for investment products, 3 July 2012. 164 Article 4(4)(a) and 5, PRIIPs Regulation. 165 Articles 4(4)(b), 13 and 14, PRIIPs Regulation. 166 European Supervisory Authorities, Joint Technical Advice on the procedures used to establish whether a PRIIP targets specific environmental or social objectives pursuant to Article 8(4) of Regulation (EU) No. 1286/2014 on key information documents (KID) for packaged retail and insurance-based investment products (PRIIPs), 28 July 2017. 167 Article 33, PRIIPs Regulation. 168 European Commission, Distribution systems of retail investment products across the European Union – Final report. 170 See Category IV of the list of capital movements in the Nomenclature of the Council Directive of 24 June 1988 for the implementation of Article 67 of the Treaty (Directive 88/361/EEC). 173 Aberdeen Property Fininvest Alpha Oy (C-303/07). 174 Santander Asset Management SGIIC SA v. Directeur des résidents à l'étranger et des services généraux (C-338/11). 175 Emerging Markets Series of DFA Investment Trust Company v. Dyrektor Izby Skarbowej w Bydgoszczy (C-190/12). 176 Directive 2003/48/EC on the taxation of savings income in the form of interest payments. 177 OECD (2017), Standard for Automatic Exchange of Financial Account Information in Tax Matters, Second Edition, OECD Publishing, Paris. http://dx.doi.org/10.1787/9789264267992-en. 180 Article 135(1)(g) VAT Directive. 181 Abbey National plc and Inscape Investment Fund v. Commissioners of Customs and Excise (C-169/04). 182 Finanzamt Frankfurt am Main V-Höchst v. Deutsche Bank AG (C-44/11). 183 JP Morgan Fleming Claverhouse Investment Trust plc v. The Commissioners of HM Revenue and Customs (C-363/05). 184 Wheels Common Investment Fund Trustees and Others v. Commissioners for Her Majesty's Revenue and Customs (C-424/11). The claimant in the UK High Court case United Biscuits (Pension Trustees) Ltd and another v. HMRC  EWHC 2895 sought to challenge this position, arguing that similar fund management services are exempt under Article 135(1)(a). The Court considered that the provision of pension fund management services did not comprise 'insurance' for the purposes of Article 135(1)(a), with the result that the VAT exemption did not apply to the provision of such services (whether by insurers or non-insurers). The claimant's appeal to the UK Court of Appeal is currently outstanding. 185 ATP PensionService A/S v. Skatteministeriet (C-464/12). 186 Fiscale Eenheid X NV (C-595/13). 187 The Commissioners for Her Majesty's Revenue and Customs (Appellants) v. The Investment Trust Companies (in liquidation)  UKSC 29. 188 De Gezamenlijke Steenkolenmijnen in Limburg v. High Authority of the European Coal and Steel Community (C-30/59). 189 European Commission, Summary of the responses to the public consultation on long-term and sustainable finance, October 2016. 190 EU High-Level Expert Group on sustainable finance, Financing a sustainable European economy – Final Report 2018, 31 January 2018. 191 European Commission, Communication from the Commission to the European Parliament, the European Council, the Council, the European Central Bank, the European Economic and Social Committee and the Committee of the Regions – Action Plan: Financing Sustainable Growth, 8 March 2018.
of the Council amending Regulation (EU) 2016/1011 on low carbon benchmarks and positive carbon impact benchmarks. 194 Commission draft delegated regulation amending Regulation (EU) 2017/565 supplementing Directive 2014/65/EU as regards organisational requirements and operating conditions for investment firms and defined terms for the purposes of that directive; and Commission draft delegated regulation amending Delegated Regulation (EU) 2017/2359 with regard to environmental, social and governance preferences in the distribution of insurance-based investment products. 195 ESMA, Final Report – Guidelines on certain aspects of the MiFID II suitability requirements, 28 May 2018. 196 European Parliament resolution of 29 May 2018 on sustainable finance (2018/2007(INI)). 197 EIOPA, Annual Report 2017.